"Let us rejuvenate your appliances and bring back the shine"
iCleanOvens offers a professional oven cleaning service for residential and commercial customers. If your oven,hob or extractor is starting to smell, smoke or just starting to look tired and grubby, speak to us about having them professionally deep cleaned. We also offer an element replacement service. We offer convenient on-time oven cleaning appointments that meet your cleaning needs. iCleanOvens understands your oven and appliances are a major purchase that you want to protect. That’s why we use the very best cleaning products and equipment available to us in today’s cleaning market. 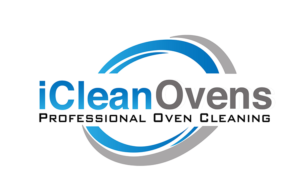 iCleanOvens is not a franchise but a local oven cleaning company that cares about its customers cleaning results. We are independent and have invested heavily both in our equipment and our training. We use a heated dip tank which is mounted in our van which allows us to dip your shelves, grill pans etc and bring them back to like new condition.